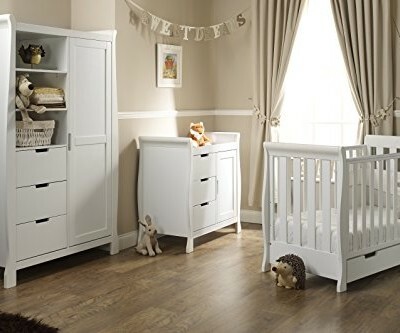 Obaby presents their Lisa 3 Piece Nursery Furniture Set. 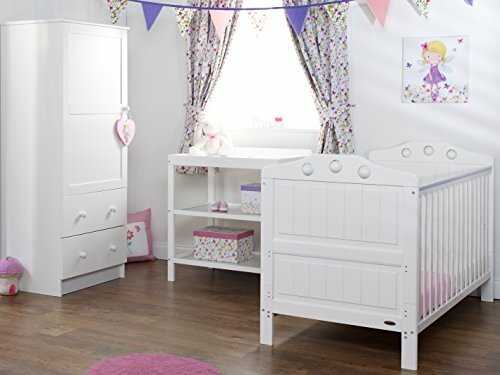 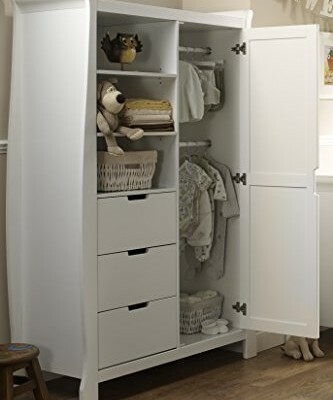 Balancing simplicity and elegance with a selection of valuable features, the Lisa range is the perfect option for parents searching for stylish and practical pieces to furnish little ones first room. 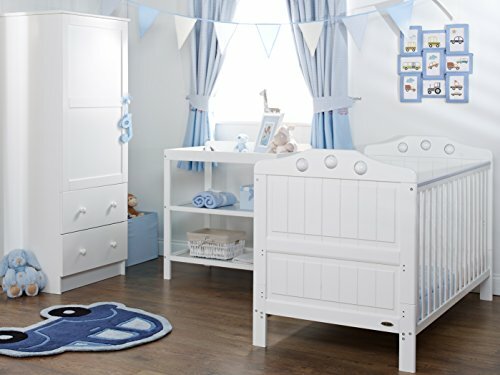 The beautifully crafted collection includes Obabys Lisa Cot Bed, along with a co-ordinating single wardrobe and open changing unit.Obabys simple but stunning Lisa Cot Bed thoughtfully combines clean and contemporary design with the delightful addition of three adorable play balls for your little one at the head and foot. 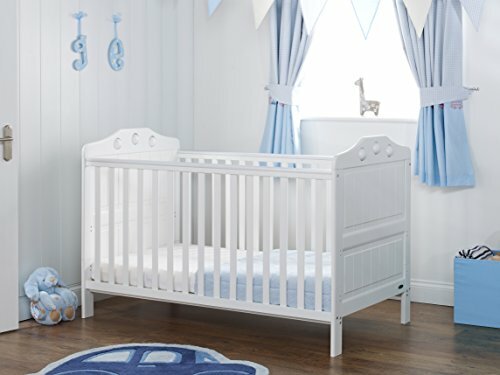 The cot bed converts seamlessly from a cot of the highest quality into a cosy and stylish junior bed. 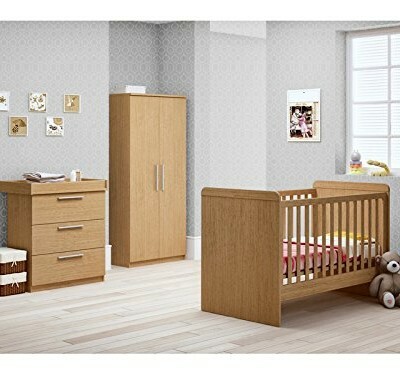 This is done by simply splitting down either end and removing the fixed sides, meaning minimal disruption during little ones often daunting transition. 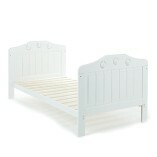 Cot Bed: 147(l) x 78(w) x 93cm(h). 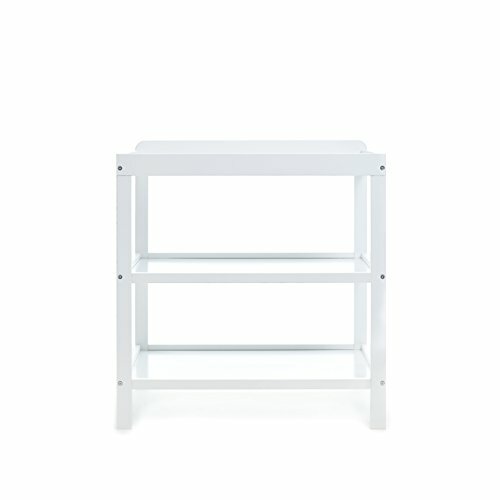 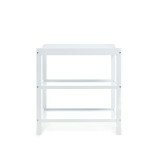 Open Changing Unit: H: 82 x W: 80 x D: 52 cm. 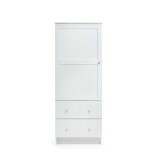 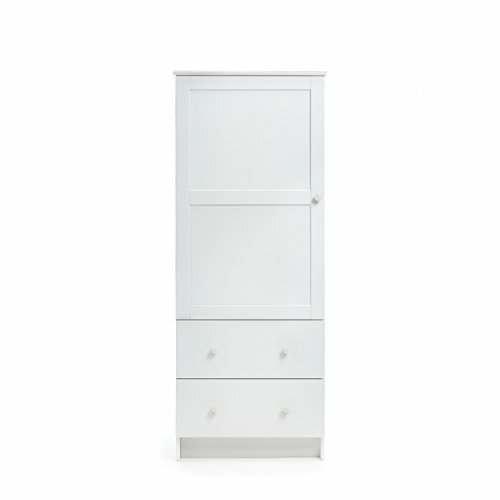 Single Wardrobe: H: 155 x W: 65 x D: 51.5cm.